Every three days, a child dies in an agriculture-related incident, and each day, 33 children are injured. This is according to the 2017 Childhood Agricultural Injuries Fact Sheet compiled by the National Children’s Center for Rural and Agricultural Health and Safety. The checklist below lists a few common hazards you can look for and fix to keep children safe. Do parents avoid taking young children into the work site while they are working? Do children have designated safe play site areas, away from the work site? Are children kept off vehicles and machinery until they are old enough to operate them (e.g., no extra riders)? Are children assigned only the tasks or chores which are appropriate for their age and ability? Are children/youth trained to perform a task safely? Is an adult available to supervise working youth? Do children wear appropriate personal protective equipment (e.g., noise cancelling headphones)? Are tanks, troughs, wells fitted with strong mesh or lids, ditches filled in, other drowning hazards addressed? Do parents wear personal protective equipment and model safe behaviors when doing jobs on the farm? National Playground Safety Week is a time to focus on children’s outdoor play environments. 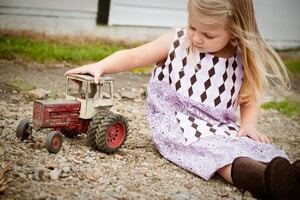 Childhood farm injuries and fatalities most often occur while children are playing in an agricultural worksite, or are bystanders to agricultural work. Children younger than 10 years old experience one of the highest rates of pediatric farm-related injury, according to a study by the National Institute for Occupational Safety and Health. Ideally, non-working children should be physically separated from the occupational and environmental hazards associated with agricultural worksites. Safe play areas are an alternative to bringing children into the worksite, especially when off-farm childcare is not available. 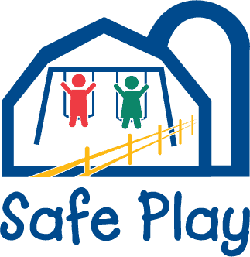 The National Children’s Center for Rural and Agricultural Health and Safety (NCCRAHS) has created a website with tips and resources for creating safe play areas, including training materials and downloadable booklets .